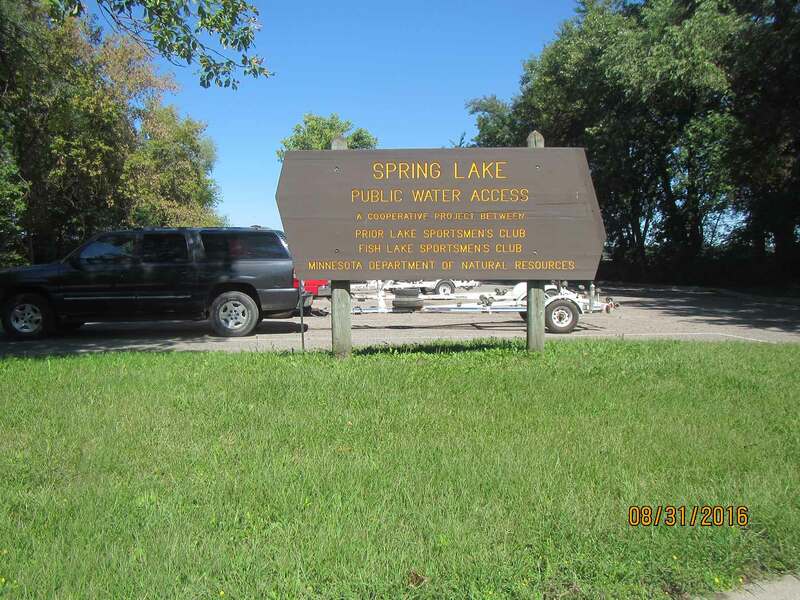 Current Lake Levels: For current lake levels on Prior Lake and Spring Lake, please visit the Waterbodies section and click on Prior Lake or Spring Lake. A carp seine in Mud Bay on Upper Prior Lake was initiated the week of April 15th. You can find more information about our carp program on our carp management page, as well as updates on the seine event on our 2019 Carp Seine Updates page. It's been a long winter, so come celebrate spring & join us for our Spring Clean-up Sunday, April 28 at Fish Point Park in Prior Lake from 9-11:30 am! Bring the whole family to this fun event and help us remove buckthorn and rake leaves at the park. Click the button to register for this free, family-friendly event! PLSLWD and City of Prior Lake staff are keeping a close eye on springtime lake levels. Weekly updates will be posted on our News page. Some of our local waterways have a chloride pollution problem stemming from the use of road salt and water softeners. The Prior Lake American wrote a great article on the topic. Check it out! Cost-share funds available for residents! 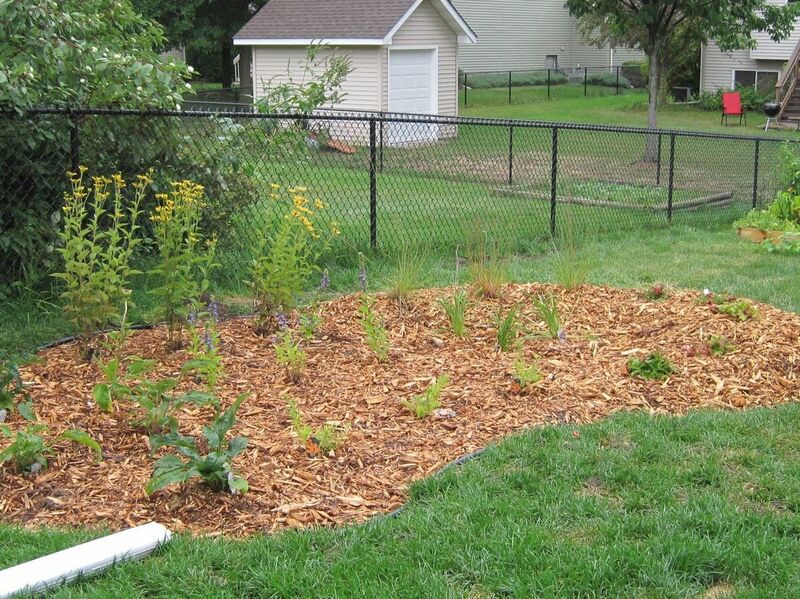 Funds are available to help District residents install lake irrigation pumps and rain barrels as well as rain gardens and shoreline buffers along lakes or wetlands! These practices help improve local water quality and support pollinators and wildlife. Cost-share funds up to $250 may be available. Learn more about our 2020 Management Plan Update! The District is in the process of putting together our 2020 Management Plan, which is the roadmap for all of the District's projects and programs for the next 10 years. The current plan expires at the end of 2019 and identified over 60 projects and programs that were designed to address the five fundamental goals of the District. Sand Point Beach Park "Clean Lake" Project Complete! The project at Sand Point Beach Park was completed Spring 2018. 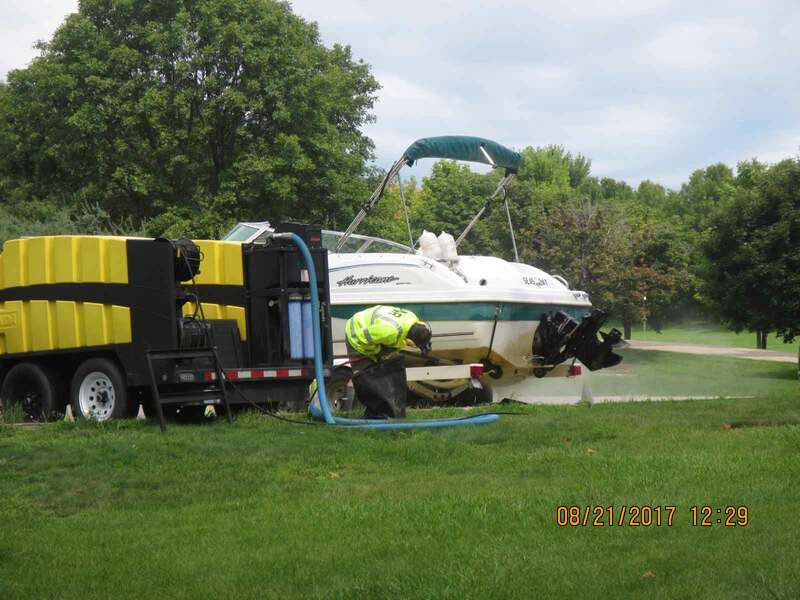 This joint project with the City of Prior Lake will improve the treatment of stormwater from the 82 acres of land which is funneled through the park's stormwater treatment ponds before entering Lower Prior Lake. This project will: 1) expand the two existing stormwater ponds; 2) add iron-enhanced sand filters to treat the stormwater; and 3) add native prairie plantings to the park. 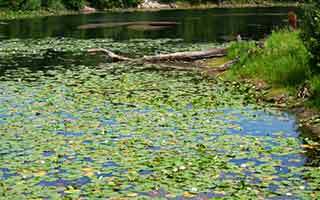 Save Money, save water: Install a lake irrigation pump! Up to $150 available for pump installation. Live on a lake? Save money on your water bill this summer by installing a pump to use lake water, instead of city drinking water, to irrigate your lawn! The District will pay 50% of the cost, up to $150, to residents who install a water irrigation pump. You must apply for the cost-share funds BEFORE purchasing your pump. Learn how the District manages common carp in our lakes! The District's comprehensive program includes carp tracking, carp removals and barriers to prevent carp from reaching preferred spawning areas. Click the button below for more info. Students from the Eco-Team & AP Environ Studies class at Prior Lake High School helped plant native plants along the shoreline at Raymond Park and spread mulch for a new trail through the park. Their work was part of a larger shoreline and habitat restoration project at the park. Come check out the beautiful wetland and the rest of the Water Quality Improvements Project at Fish Point Park in Prior Lake! To learn more, click the arrow or visit the park and check out the cool interpretative signs explaining the project! Segment 3 of the Prior Lake Outlet Channel, near Kici Yapi Camp. A peek at the fixed crest weir inside the Prior Lake Outlet Structure. Click the button to check out our interactive StoryMap and learn more about the Outlet Structure! The weir at the Ferric Chloride Facility, south of Cty Road 13 and downstream of Cty Ditch 13. Segment 1 of the Prior Lake Outlet Channel, near Jeffers Pond Elementary. Shoreline restoration at Waltz's Beach. Local residents can learn about shoreline restorations and planting for clean water at our free workshops which are co-hosted with the Scott Soil & Water Conservation District. PLSLWD residents are also eligible for Cost-Share funds to help implement projects on their property. 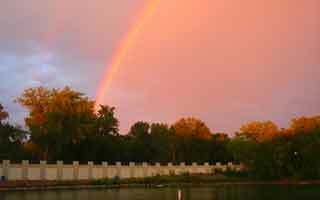 The Prior Lake-Spring Lake Watershed District includes 14 major bodies of water, over 730 wetlands and one County Ditch. Check out our Projects page to see what we’re doing to manage and preserve our local water resources!